This week's Double Dose bands have a few things in common: A. They both have Latin themed names. B. Their compositions run approximately one hour in length. And finally, C. they are both loud enough to wake the sleeping dead. ALTARUS, our first shot, are a Canadian trio of metal'rs adepts in doom and what happens when its tampered with. Forming as a live band in late 2009 ALTARUS have seen many line-up changes. Since that definitive date the band has fossilized as the leviathan three-piece you hear today on debut As Above, So Below. ALTARUS channel a tectonic sized immensity through crushing doom RIFFS. 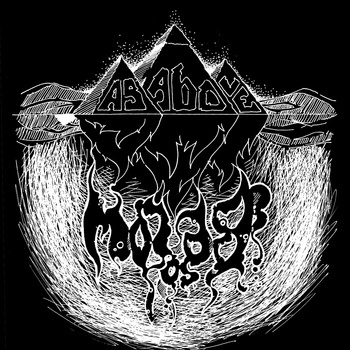 The three-some don't simply stop at doom though, implementing a chuggin' sensation through their guitars and some artsy, Danny Carey, Tool-esque timing ALTARUS unleash a mountain of sound-waves sure to pulverize the measly flesh that surrounds your psyche. Need a wake up call? Spin Unleash Leviathan or check out ALTARUS's latest propaganda below, a video for Lazarus. Don't bother making yourself comfortable though, because these monstrous waves, whether sonic or visual, are sure to leave you in spiritual turmoil. Sometimes the inter-breeding of genres we so called writers use to describe the sounds of rock and metal can get a little out of control. There are bands out there mating styles so extremely diverse in the name of progress that they are losing their souls and the very soul of their creation, a.k.a. the music itself. Well, today is going to be one of those days that I, the poor excuse for a writer that I am, have to string together an endless amount of genres and descriptions to attempt to explain this not so typical archetype... except here our example have done something many musicians pursue and rarely accomplished. That example, Inter Arma have created a new sound from many old sounds, which brings the past forty to fifty years of heavy music full circle. In the end this leaves me describing Inter Arma's sound as authentic heavy metal. So, enough of my rambling and ranting... let's get to what we came here for... the tunes! Inter Arma is a Richmond, Virginia based five piece who with the precision, strength, and patience of an artisan stone mason have assembled together a bedrock of doom, psychedelia, and sludge with southern rock, acoustic, and black metal. As much of a mind-job and cluster that sounds as you read it Inter Arma, with a little courage and a strapping intelligence, have composed the mess fluidly and entitled it Sky Burial. Sky Burial is enormous and running over sixty minutes will definitely put a dent in your time today. So, you might as well pick up a case of your favorite brew (might I suggest the Sierra Nevada Porter). That's okay though, the alcohol will help you float along with Inter Arma's cloudy atmosphere. The progressive mentality of combining the likes of doom and sludge with black metal and finally acoustic are brought to your attention within the first fifteen minutes, which is really only two songs. Causing convulsions and an immediate back flip, I thought, "Did they just do that?" and with a psychotic grin answered myself, "Yes, yes they did!" in sheer reverence. My favorite track The Long Road Home is a lengthy psychedelic-acoustic piece that is constructed further with electric guitars lacing in and out of the brilliant percussion, all very 70's Pink Floyd feeling. The final two to three minutes become intense, where black metal characteristics dominate the sound. The drumming becomes blast beat-like taking the precedent position over the guitars and vocals, only this percussion is not like the blind chaos I tend to hear in blast beats. This is more like a functional and calculated freight train with some serious cargo. T.J. [Childers] drumming and percussion are phenomenal. Period. Throughout Sky Burial this particular instrument is the mortar that adheres the intriguing vocals, guitars, and bass together in a cohesive chemistry. 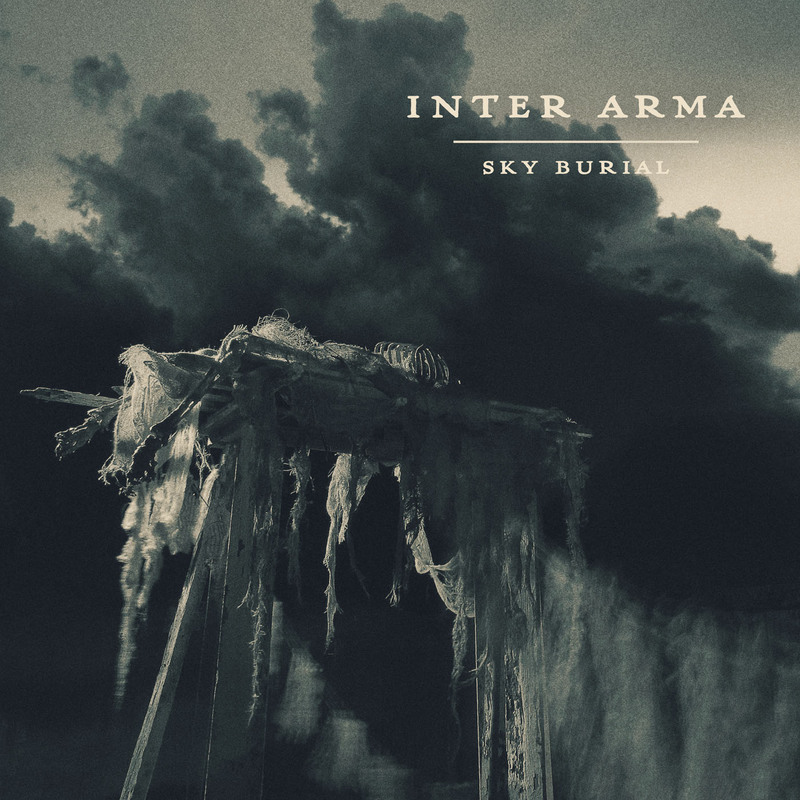 Sky Burial is out now and can be streamed at bandcamp and ordered from Relapse Records.